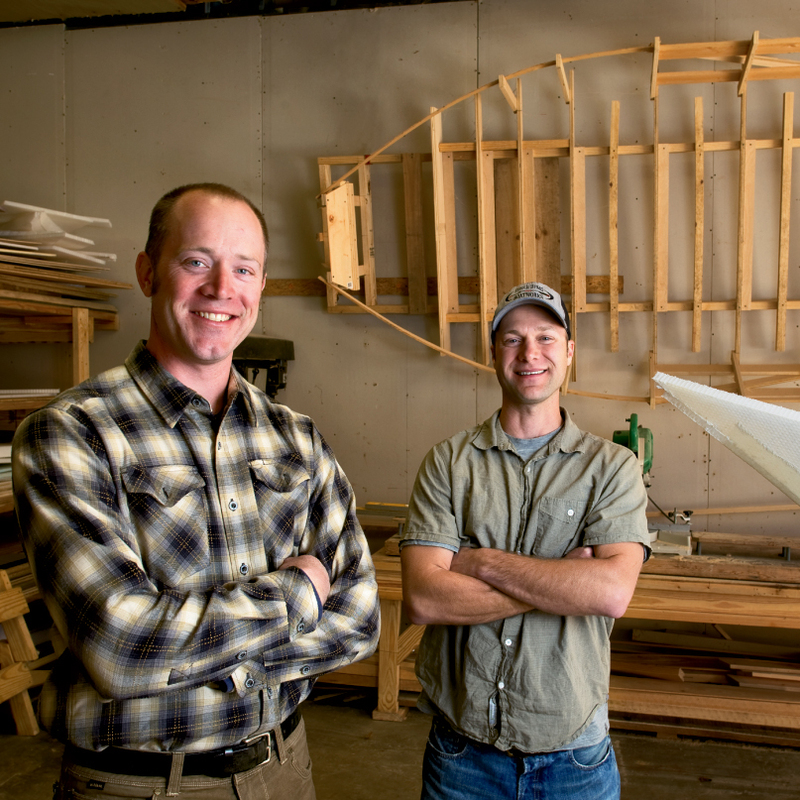 It was an evolution as natural as the flow of a mountain stream: Two skilled carpenters met, discovered a common love of fishing that prompted discussions of boats, which led them to launch French Broad Boatworks, where hand-hewn watercraft become pieces of floating art. From an Asheville workshop just paces from the river that gives their company its name, Brownlee and Will Evert catch inspiration from the sight and sound of rolling water. Inside, a frame of quarter-sawn white oak topped with an interior hull of mahogany is on its way to becoming a 17-foot guide boat. Recycled wine barrels from Biltmore Winery serve as bow and stern braces, and lend an elegant curve under the bench seat. Each boat requires roughly three months to take shape. But even with the math in hand and designs envisioned, it took several years of trial and error in a shed behind Evert’s house to fully develop the prototype guide boat, also known as a dory. And certainly those builders of the past couldn’t have conceived of protecting a wooden hull with layers of lightweight fiberglass and a skin of Kevlar to make it resistant to damage—or of storing solar energy to run a virtually silent outboard motor that’s gentle on the environment. However, Evert and Brownlee emphasize that their boats are truly intended to be rowed, and they demonstrate their traditional outlook with tours on the French Broad River. The duo is also developing a lightweight, 13-foot drift boat that will be ideal for fishing or touring, and even a stylish wooden paddleboard.